There's a whole host of great family things to do in Las Vegas this April. With daytime temperatures in the low 80s, April is a busy season in Sin City and our calendar of kid-friendly events reflects that. Check out event happenings on and off the Strip. Cowabunga Bay is back for another wild aquatic season. 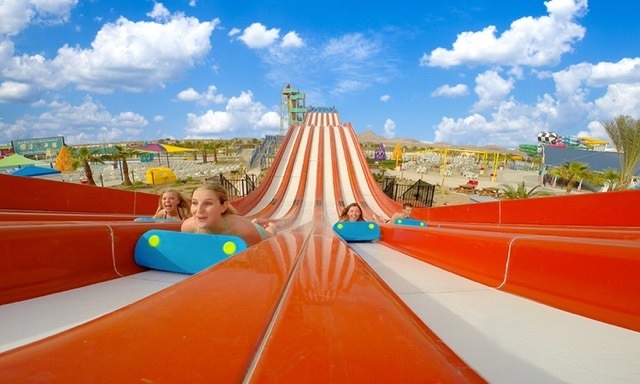 Located just a few miles away from Las Vegas, in Henderson, Nevada, this water park boasts 25 acres of fun including a giant wave pool, Zuma ZOOMA -- a water slide with a 72 foot high drop--nine slides, four pools, a massive lazy river, and more. After a few rides, grab a delicious meal at Bullwinkle's Boardwalk Grill. Buffet + Ticket Special Available. Yay!! Voted Best Family Show in Las Vegas by LasVegasKids in 2018, Mystere by Cirque du Soleil features breathtaking acrobatics in a show room where every seat is offers outsanding views. There are plenty of shows in Las Vegas, many in fact are family-friendly, but few offer the quality of Mystere. 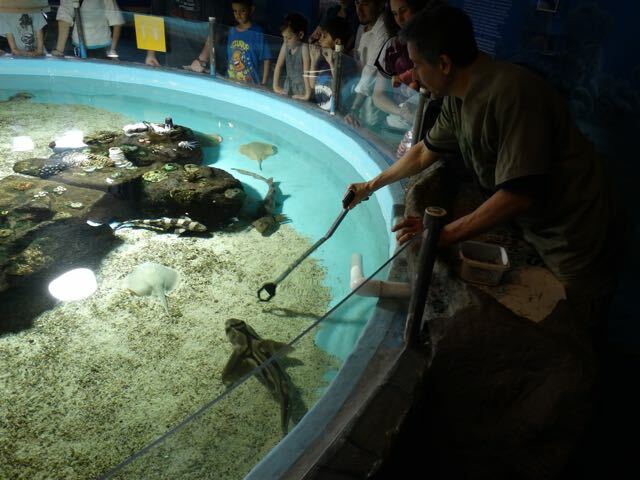 Three days a week, the Museum's aquarists feed the sharks and rays in the Marine Life Gallery shark tank. Watch as sharks cruise by eyeing their food, and you might get to see our shy grouper emerge from his rocky hiding place. When it's feeding time, the habitat comes to life and animal behaviors are best observed. Feedings are on Tuesdays & Thursdays at 2:30PM, and Saturdays at 2PM in April. It's hard to put the Blue Man Group into words: take a rock concert and a comedy show, add a heaping dash of whimsy, stir in unrivaled creativity and a generous pinch of high-tech visual treats. Shake well and serve! There’s no act in the world like Blue Man Group, and their enduring popularity proves it. Paw Patrol: It's Pirate Day in Adventure Bay in the new tour PAW Patrol Live, truly a professional Broadway quality event! "The Great Pirate Adventure! When Ryder and his team of pirate pups rescue Cap'n Turbot from a mysterious cavern, they also discover a secret pirate treasure map! The PAW Patrol set out over land and sea to find the treasure for Mayor Goodway before Mayor Humdinger finds it first! The pups will need all paws on deck for this pirate adventure, including some help from the newest pup...Tracker! 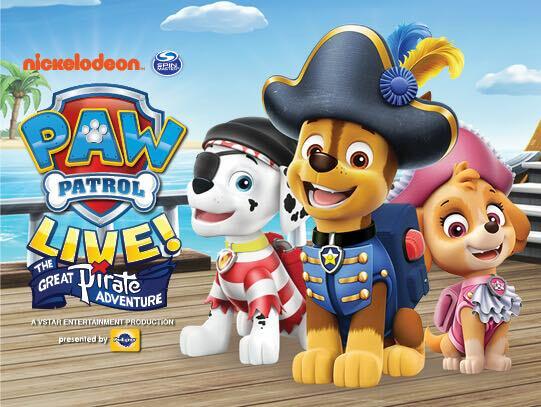 Paw Patrol Live is perfect for families including kids, parents, grandparents and even aunts and uncles. After the show you'll be inspired to buy that Paw Patrol patroller truck, table set, bag, hat, creativity art set, or perhaps watch all 4 episodes! Gregory Popovich and his team of 30 trained furry friends--all once in shelters have been turned into Las Vegas show celebrities. This show has been featured on The Tonight Show, USA Today and David Letterman. The Great Vegas Festival of Beer is Las Vegas' flagship annual beer event. GVFB features 100+ of the world's top craft breweries in Downtown Las Vegas. Sample from over 500 different craft brews, enjoy over-the-top culinary and craft beer creations and experience craft beer in a whole new way at educational sessions and many other one-of-a-kind, beer-centric event experiences. Ben & Jerry's annual Free Cone Day is on on Tuesday, April 9, 2019 from 12 - 8 PM. 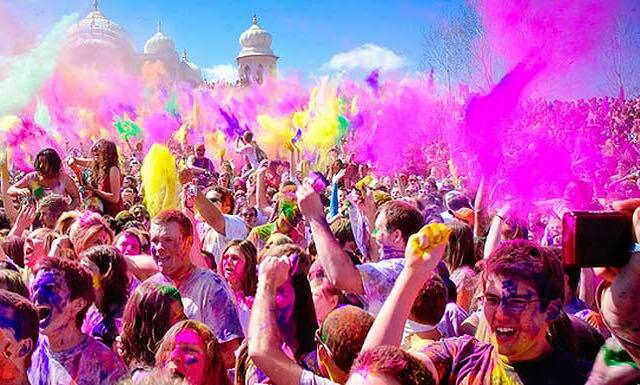 There will be free face painting and balloon twisting from 1 - 7:00 PM. See you at The District at Green Valley Ranch. 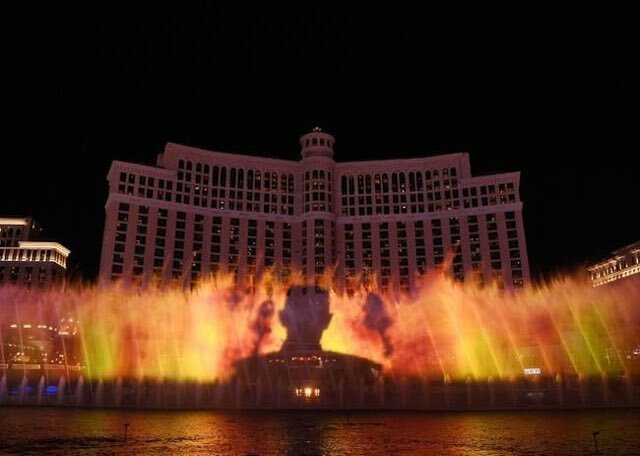 If you're a Game of Thrones fan you're going to love watching the Game of Thrones Bellagio Fountains show seen nightly at 8 p.m and 9:30 p.m. until April 13, 2019--free of course. Be sure to look for a special appearance from Viserion and the Night King. Bellagio management will be handing out Easter eggs throughout each shows. We are pleased to inform you that you've been accepted to a spring break session of DISCOVERY Children's Museum School of Wizardry. The sessions, sure to be magical, will be held April 13-20. Report to Platform 9¾ dressed in appropriate attire and sorting will commence promptly. And remember, the wand chooses the wizard! 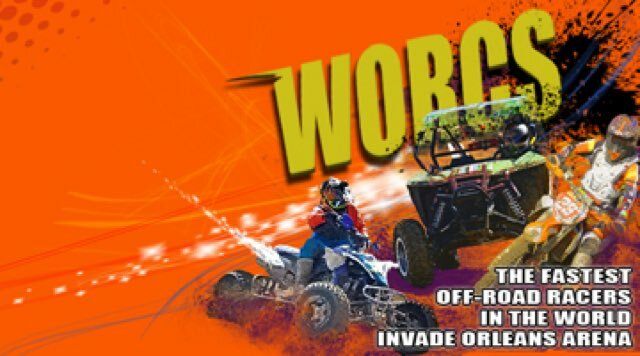 WORCS Dirt Bike Racing Las Vegas: Come watch as the fastest off-road racers in the world compete and pursue their passion. On the schedule: Motorcycle, ATV and SXS disciplines vying for bragging rights in novice, amateur and Pro classes! Pro Races Saturday night and amateur racing all day Saturday and Sunday. This is where the racing classes start! Round 6, Mesquite NV. Round 7 & 8 is in McCleary, WA. Round 11, Primm. Start off by feeding treats to the animals then move on to a slew of other activities for kids inlcuding a children's craft table, bake sale, spin-a-wheel, make an egg wobbler, raffle table, filled eggs, photo station. April 21 & 22, 2019: Earth Day at Siegfried & Roy's Secret Garden: Complimentary admission for children ages 4-12 who bring in a small creative work of art made of recycled materials. Free for all ages, this new exciting Festival will welcome and celebrate ALL Things Cosplay! It will take place both inside the MFB Fandom Art Gallery, the patio and the street section by MFB (not on the parking lot after the bad wind last year! lol). We will have Artists/Vendors/Exhibitors, Prop-makers, Performers, a Cosplay Contest, a Cosplay Parade, a Kids Craft Station, food truck and more! 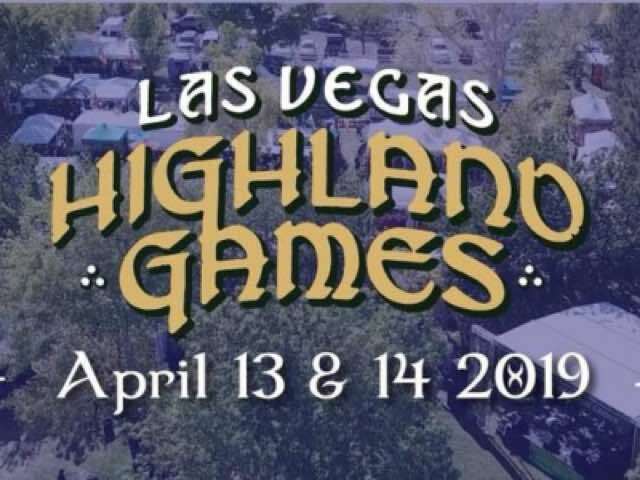 Invite your friends and family to the 15th annual Celtic Gathering and Highland Games. Come out to listen to live music, taste traditional food, check out Heavy Athletics, Dance, and Bagpiping competitions! 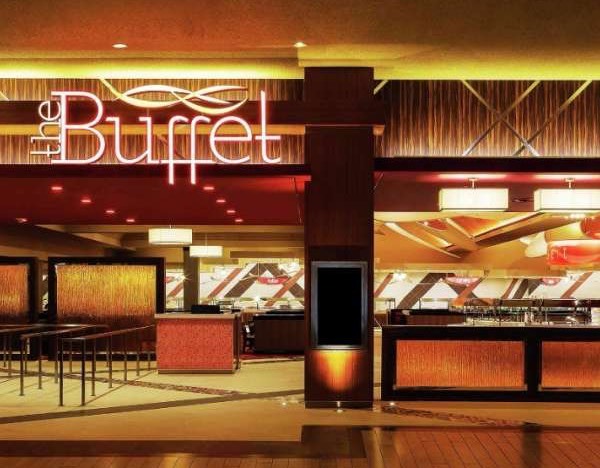 Show & VIP Dinner Buffet Line Pass Special! Experience a spectacular story unfolding amid its pools, platforms, tunnels and overhead. A riveting pre-show begins as characters appear, swimmers gliding through the water, angel-clowns materializing among the audience and an array of strange creatures, aerialists and other performers. Then, as fire, water and smoke appear, the action begins all around you. 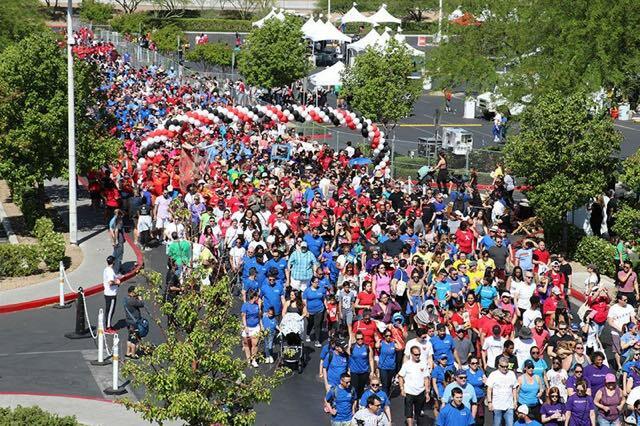 Attracting more than 5,000 participants annually, AIDS Walk Las Vegas at Town Square is one of the most visible, longstanding, and recognizable events in the city. People of all ages, races, and backgrounds come together as one to make a difference. The walk is family and pet friendly! Fans of Criss Angel & Cirque du Soleil get to see a unique combination of the two forces. The show features Angel's magic and well-known stage presence presented with the artistic flair that is Cirque du Soleil's signature. The main focus of every act is Angel's magic. The set and illusions are stylized with a gothic feel much like an old-fashioned circus. Las Vegas' annual GREEN Fest is a family-friendly community gathering and a huge celebration of Earth Day! Held in the foothills of Las Vegas' west rim, the event focuses on topics relating to conservation and sustainability and offers environmental exhibits and discussions as well as live entertainment, plenty of kid-friendly activities and a beer garden. The festival also accepts donations of gently used clothing for charity. The Golden West Pops has been playing as a group since September 2003. It has performed mostly “Pops” band music with a wide variety of styles and venues. Their music includes genres such as ragtime to rock with some show tunes, patriotic and classics thrown in. Mac and his goldfish (don't worry, we won't spoil the surprise for you) have been renowned fixtures of the Las Vegas show circuit for over a decade and it's easy to see why. At first glance, his retro style may be off-putting, but don't be deterred by the plaid suit and bad haircut – retro doesn't mean old-fashioned, and in this case it certainly doesn’t mean boring! Celebrate a night of Jewish pride while enjoying a Baseball game at the new Las Vegas Aviators Ballpark! Tickets $20 includes a complementary Hebrew Aviators baseball cap. Gilcrease Nature Sanctuary: Finally, a talent show for your pets! Bring your pets, all shapes and sizes, and show the judges their amazing talents. There will be awards handed out for 1st, 2nd, and 3rd place and there will be a raffle with prizes by Barbed Wire Jewelry, Crazy Vegan Balm, 2 tickets to see the new show, The Naked Magicians at the MGM Grand, with more to come. This is a byob event, meaning bring your own bag (for poop). There will also be a vegan bake sale items available for you and your pampered pets. Water Lantern Festival is coming to Las Vegas on April 20, 2019. Enjoy food trucks, music, and fun in a magical night as the water lanterns light up the water in a beautiful and memorable evening. 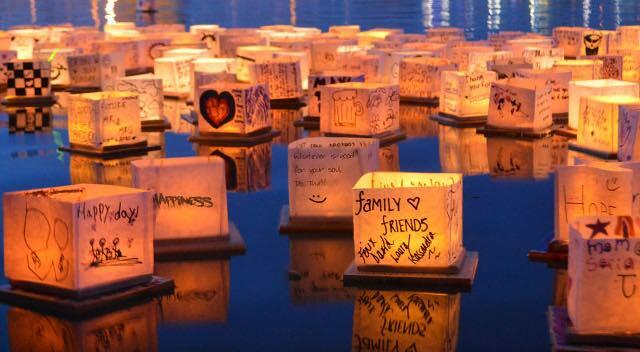 Come experience the Water Lantern Festival with your friends and family as the water lanterns reflect messages of love, hope, and happiness upon the water. Don't miss this amazing event. 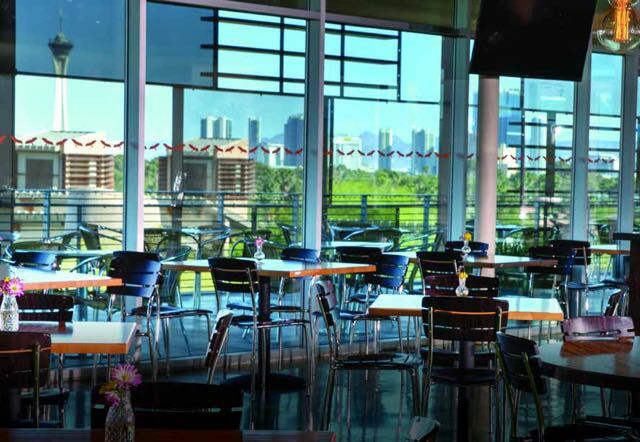 Join Springs Preserve for a delicious Easter Sunday Brunch in the Divine Cafe. Brunch will include a carving station featuring honey ham and roasted turkey; a hot bar featuring Eggs Benedict, Crème Brulee French Toast and traditional breakfast favorites; a salad station; a pastry and dessert bar; and more! Brunch includes coffee, tea and juice, with full bar options available for purchase. The Easter Bunny will also be roaming inside the cafe for photo ops between 11 a.m. and 3 p.m.
Pirate Fest 2019 is a unique family festival where everyone everyone's a participant. 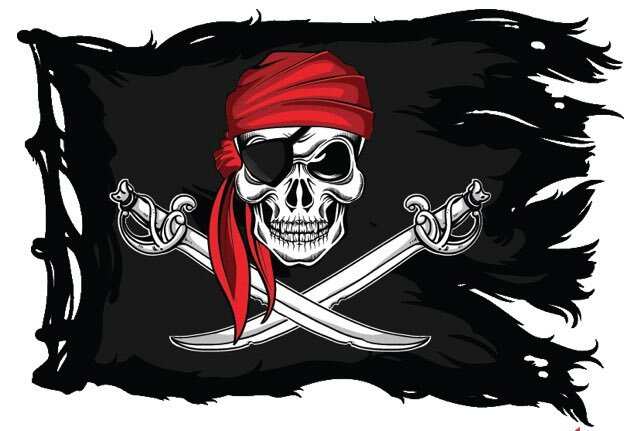 Dress up as a pirate--or the closest to one because at this festival you don't just watch the pirates...you are the Pirate!! Enjoy entertainment everywhere: Singers, performers, jugglers, musicians, craftsmen, a pirate puppet show, and of course, pirates! Arrrr. 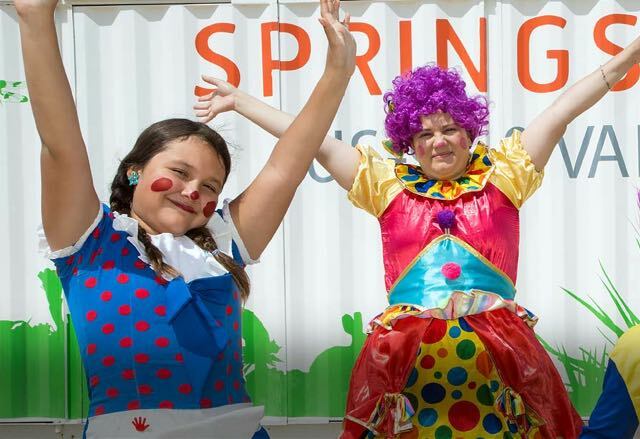 Join the Springs Preserve to honor children and celebrate childhood with the annual Día del Niño event. We'll be offering hours of fun for children of all ages, including clowns and magicians, cooking demos, face painting, a petting zoo, live entertainment, traditional food and drink, hands-on arts and crafts and much more.